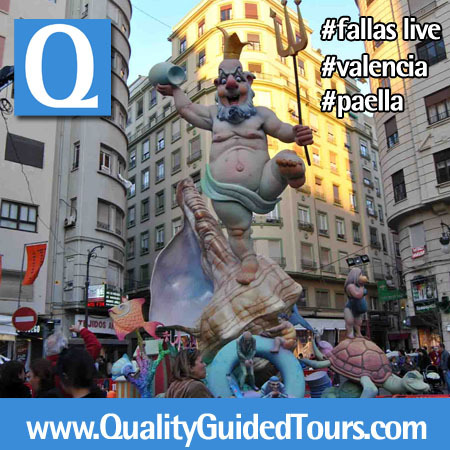 A falla is a peculiar, satirical monument made of flammable materials (cardboard, wood,…) which is raised in the squares and main street junctions of the cities, towns and villages of the Valencian Region. The monument is exhibited to the public for various days before being burnt on the eve of the Day of Saint Joseph. The ninots (gigantic cardboard, wood and plaster figures) that are spared from burning every year by popular vote are on display in this Fallas Museum. This Fallas Museum is located in an old hostelry. Its collection is made up of all the figures that have been spared from the fire by popular vote since 1934. Also on display are posters of the Fallas Festival and photographs of related subjects. 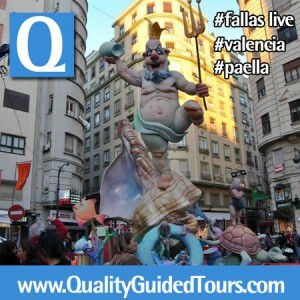 A very good idea is to join our morning or afternoon Fallas Festival Tour.